House Republicans oppose Madigan’s Rules. 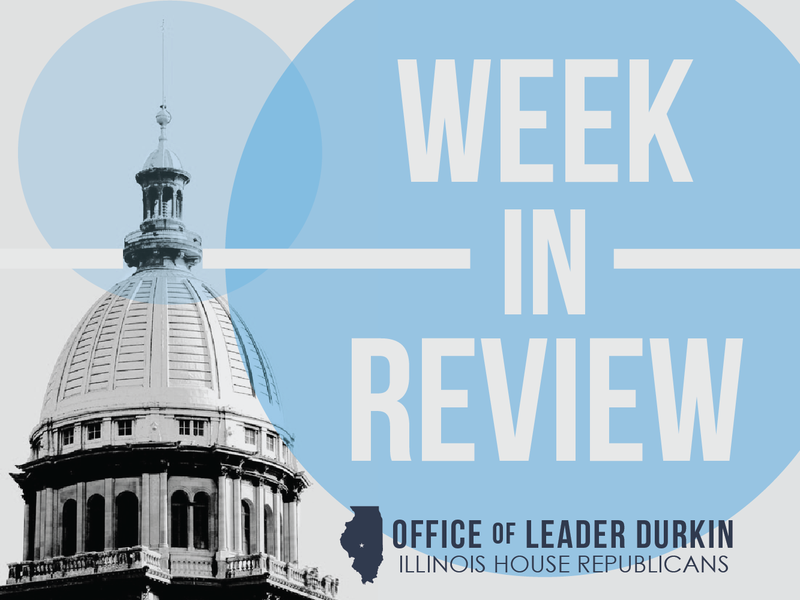 One of the first legislative actions of the Illinois House in the 101st General Assembly occurred this week, with the consideration and adoption of rules that govern the chamber’s proceedings. 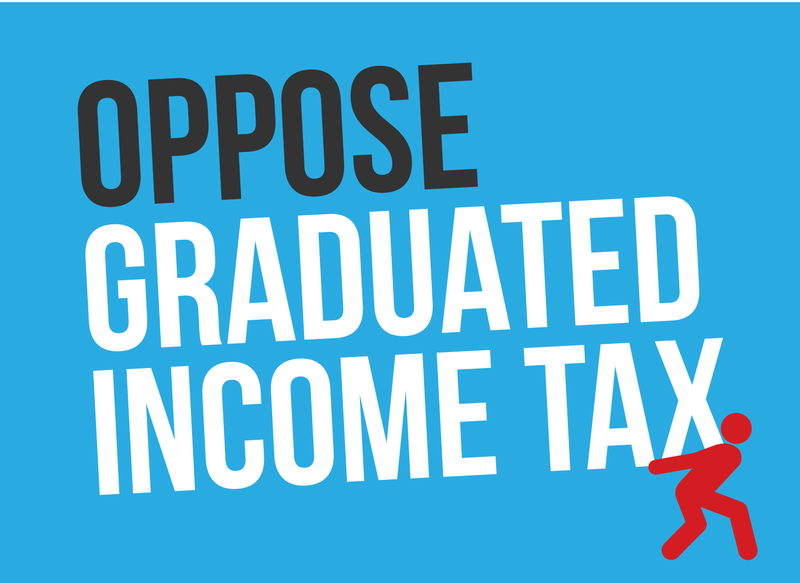 The 12.8 million residents of Illinois deserve a legislative process that is transparent and fair. We are supposed to be a representative democracy, where all Illinoisans from every district are represented equally. Unfortunately, that is not the case right now in the Illinois House of Representatives. Every two years, Speaker Madigan requires two critical votes from Democrat members; first, their vote to re-elect him Speaker of the House, which happened on January 9th. Second, in order to maintain near-complete, singular control over the legislative process, he requires them to vote to adopt his proposed set of House Rules, the rules that govern how the House of Representatives operates for the next two years. On Tuesday, Speaker Madigan rammed through the same tired, draconian Rules that have been in place for decades. Madigan’s Rules were contained in House Resolution 59, which was supported by every House Democrat on the floor. 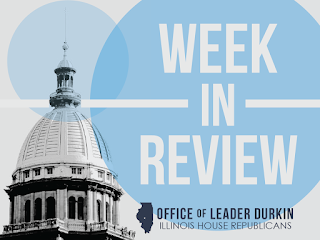 House Republicans believe the time has come to break the Speaker’s stranglehold on power and instead, give power back to the people of Illinois and their duly elected representatives. We offered the following reasonable Rules reforms as part of House Resolution 62. These reforms would foster an environment of individual legislator empowerment, regardless of partisan affiliation. Unfortunately, Speaker Madigan did not allow a vote on HR 62. Require Committee Vote for Bipartisan Bills & Resolutions Pending in Committee – Require that when a bill or resolution in committee has at least five co-sponsors from the majority caucus and at least five co-sponsors from the minority caucus, the Committee Chairperson must provide an opportunity to the bill sponsor to present the bill for consideration and a committee vote. Create Waiting Period for Floor Amendments– Create a longer public review period before consideration of floor amendments and concurrence motions by prohibiting consideration until the calendar day after notice is posted for a hearing or the calendar day after the measure is reported directly to the House from the Rules Committee. Create Waiting Period After Committee Testimony– Require that the initial testimony and discussion of bills in committee must occur before a vote of the committee on the reporting motion; and such committee vote may not occur on the same calendar day that testimony was heard. Require House Vote for Bills & Resolutions Supported by Bipartisan Supermajority– Provide that a motion signed by 71 members guarantees a vote of the House on a bill or resolution. At least five members affiliated with the majority party and five members affiliated with the minority party must be included among the 71 or more signatories. Such bills would be discharged from a standing/special/Rules committee, or transferred from the regular calendar, and placed on an order of business that the House must go to each day that it convenes in regular session; and sponsors of bills on the order would have the right to call their bills for a vote whenever the House is on that order. Extend Time for the House to Consider Motions to Discharge Standing/Special Committee– Provide that for six session days after the committee reporting deadline the House may still consider motions to discharge from standing or special committees. Currently, bills remaining in committee on date of the reporting deadline are immediately re-referred to the Rules Committee, which means that the motion to discharge from standing committee, which requires 60 votes for adoption, is no longer an option. Illinois responds to record-breaking cold temperatures. The “Polar Vortex” weather conditions of late January 2019 created icy thermometers throughout Illinois. Many schools, government offices and businesses had to close, and the state’s economy was affected. When adjusted for wind chill, temperatures dropped below -40°F. in many parts of the state. Warming centers operated throughout Illinois and emergency shelters gave spaces to the homeless. Governor Pritzker called for an emergency preparedness plan and issued a disaster proclamation. Public safety officials urged Illinoisans to stay indoors whenever possible, and to take preparedness steps, including the wearing of mittens and layered clothing, to avoid hypothermia and frostbite. Further cold snaps are likely during the rest of this winter of 2019. State report shows sharp year-end disparities in jobless rates within Illinois. The December 2018 Illinois Metro Areas report was published by the Illinois Department of Employment Security (IDES), the state agency responsible for unemployment insurance contributions and benefits. The report, which covers local Illinois job trends through New Year’s Eve and the end of calendar year 2018, showed wide gaps in unemployment rates between different regions of Illinois. While statewide unemployment remained low (4.4%), jobless rates increased in thirteen Illinois metropolitan areas. Metro areas with higher unemployment in December 2018 included Bloomington, Carbondale, Champaign-Urbana, Peoria, Rockford, and Springfield. Statewide unemployment rates were held down by a continuing robust economic performance in greater Chicago (3.6%), where jobs continue to be created for new and re-entering workers. The size of Chicago, as a percentage of the overall Illinois economy, means that statewide numbers will to some extent reflect trends in the Windy City. Illinois Supreme Court issues key decision in favor of General Assembly law. The Biometric Information Privacy Act, enacted by the General Assembly in 2008, specifies that a business firm doing business in Illinois must get explicit written consent from an individual before collecting biometric identifiers such as fingerprints. The Act grants legal standing to individuals to seek redress against entities that collect the information without permission. In a case docketed as Rosenbach v. Six Flags, a business firm sought to carve out an exception to this standing. By upholding the law, the state Supreme Court held this standing harmless and delivered a victory to the plaintiff. The high court’s unanimous (7-0) opinion was filed on Friday, January 25. Critics pointed out that the more-than-ten-year-old law has not been modified to keep up with advances in technology. For example, many places of work are adopting, or considering the adoption of, biometric time clocks in which employees and contractors swipe their fingerprints over a detection device to punch themselves in and out. These biometric time clocks are seen by many as necessary elements in the ongoing push to create a more secure workplace. They are high-tech alternatives to older identification and work-time systems in which people sign in and out using plastic cards or other identifiers. This is only one of the many areas in which biometric information is seen as offering opportunities to increase security, discipline, and safety in places of work, school, child care, and public gathering. The Rosenbach decision may increase questions about existing statutes, and lead to requests to the General Assembly to amend the law in line with the demands of 21st-century technology. Illinois’ tax burden ranked 11th of 50 states. The ranking came from the nonpartisan Tax Foundation, which found that residents of 38 of the 50 states are expected to enjoy lower state and local per-capita tax burdens than residents of Illinois in calendar year 2019. According to the Tax Foundation, states with lower average per-capita state and local tax burdens than Illinois include the neighboring states of Indiana, Iowa, Kentucky, Missouri, and Wisconsin, and the large states of Florida, Georgia, Michigan, Ohio, Pennsylvania, and Texas. States with a higher average per-capita state and local tax burden than Illinois include high-tax California and New York. The Tax Foundation expects the average Illinoisan to have to pay $5,654 in state and local taxes in calendar year 2019. This leaves out taxes paid to the federal government, as well as payments to governments not classified as taxes (such as fees, fines, and pubic-sector charges). 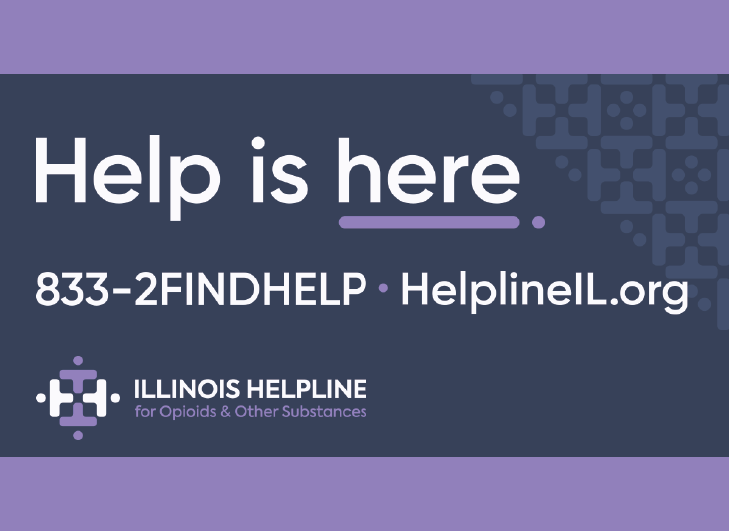 This number is for each individual Illinois resident, and can be multiplied for a picture of the burden upon families and multi-member households with two or more people.